Created and crafted in high quality 18k gold plate. 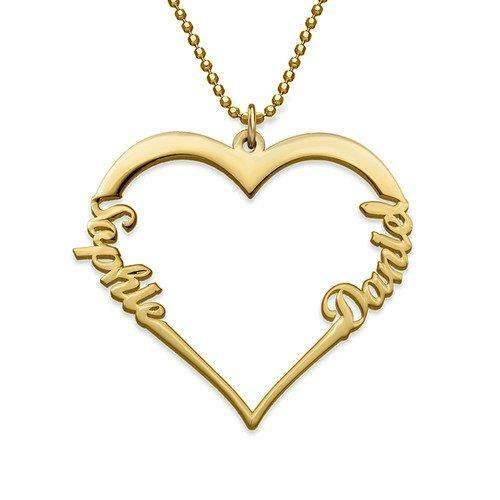 This Pendant with Two Names will melt the heart of the girl of your dreams. What better way to show your love than to give the gift of a pendant designed with two intertwining hearts. Created and crafted in high quality 18k gold plate. 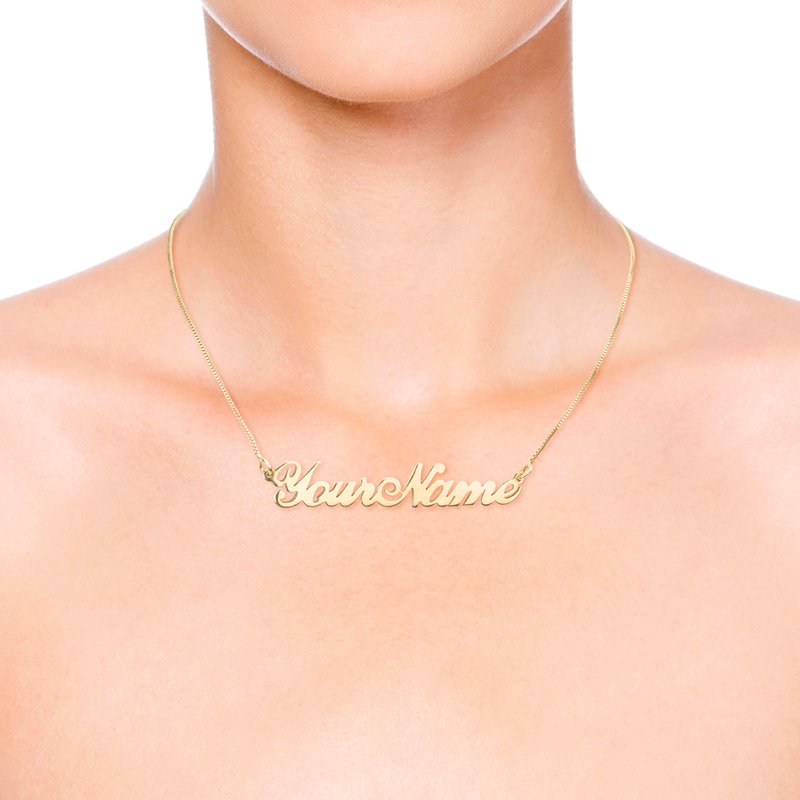 This Pendant with 2 Names will melt the heart of the girl of your dreams. She will proudly wear this with any casual, formal, or seasonal fashion she has. This is a beautiful piece of jewelry that any lady will be proud to wear. 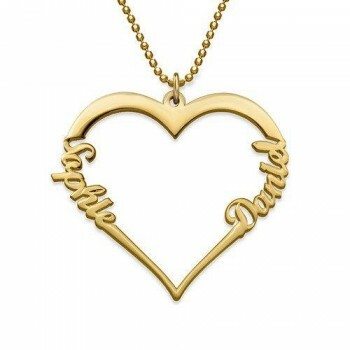 You can find more designs of family jewelry by visiting our family jewelry category. Click here to select the chain length that suits you.